Looking to “Live life to the fullest?” Sun City Texas offers three single-family home collections all featuring Inspired Design nuances to fit your lifestyle. 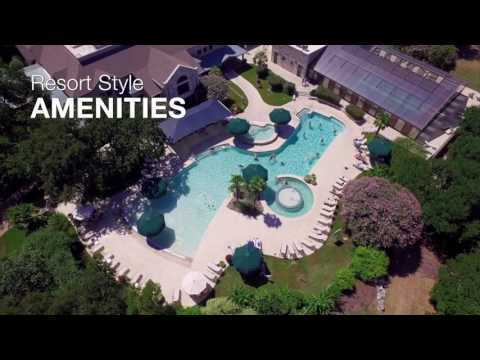 This community has it all with three world-class golf courses, two state-of-the-art fitness centers, outdoor sports fields, lakeside amphitheater, resort-style pool, and much more. This all encourages an atmosphere where new neighbors soon become long-time friends. Explore Sun City Texas so you can see the beautiful community and resort-style amenities. We believe you’ll like it here. Del Webb's single-family homes in the Classic Series feature open concept plans with one-story or two-story living. Explore your options today. Del Webb's single-family homes in the Estate Series feature open concept plans with one-story or two-story living. Explore your options today. Del Webb's single-family homes in the Garden Series feature open concept plans with one-story or two-story living. Explore your options today.